At some point or another in our lives, we reach a point where our work or careers are no longer engaging or satisfying. We drag ourselves out of bed for yet another day of work, just praying for the weekend to come. And we trick ourselves into thinking that we’ll just hang on that little while longer until more of the mortgage has been paid off. I know it because I’ve been there before… It’s hard to move from stability to the unknown, and making that leap can be scary. Thankfully we have the Tarot cards to help guide us towards finding our dream job and career. It really is possible to get the job you want, with a little help from our friends – the Tarot cards. • 7 practical ways to use the Tarot cards to find (and get) your dream job! Join the Biddy Tarot Community. Brigit: You’re listening to the Biddy Tarot Podcast, and this is Episode 42: Five Simple Ways to Deliver a Tarot Reading Online. Welcome to the Biddy Tarot podcast, where you will learn how to connect more deeply with your intuition and live an empowered and enlightened life with the Tarot cards as your guide. Listen as Brigit and her guests share their very best tips and strategies to help you read Tarot with confidence. And now, here is your host Brigit Esselmont. Brigit: Hello and welcome back to the Biddy Tarot podcast, as always I am so thrilled to have you here and to be talking about Tarot with you. Now before I get into today’s episode I just want to say a big thank you to everybody who’s been leaving amazing reviews for us on iTunes and elsewhere. I just wanted to share two gorgeous, gorgeous reviews with you to celebrate and really to say thank you to these folks who’ve left a review. And remember if you want to share your feedback with us then please head to iTunes and if you feel compelled to do so please leave us a 5-star review that would be awesome, and your comments. “Thank heavens we have someone like Biddy to introduce us to the world of unique Tarot readers from around the world as well as our beloved Australia and sharing them with us. 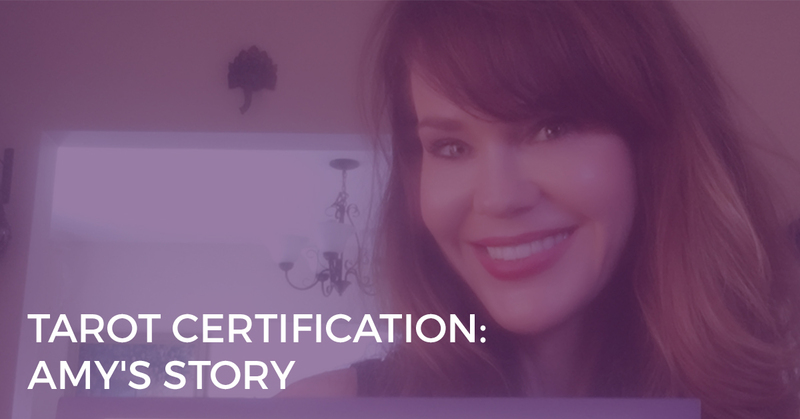 I’m constantly learning from Biddy’s courses as well as these very generous podcast that have immense value of content and thank you, thank you, thank you,” says Sylvia. Awww, thank you and that’s absolutely gorgeous and it’s my pleasure to be here with you, helping you to learn to Tarot. Yes! I’m so happy, thank you so much, Megan and I’m really glad you are feeling empowered on your Tarot journey, because that’s exactly what I want to do, I want to show you how to use Tarot in a way that leaves you feeling awesome and empowered and able to create whatever kind of future you truly want and deserve. Okay so big, big love for all of those beautiful iTunes reviews I really, really do appreciate them. Brigit: Now, let’s get into today’s episode. Well at some point or another in our lives we reach a point where our work or careers are no longer engaging or satisfying. Maybe we’re dragging ourselves out of bed for another day of work and just praying for the weekend to come and we trick ourselves into thinking that if we just hang on just a little bit while longer until maybe more of the mortgage has been paid off. I know it because I’ve been there before, I’ve worked in corporate for over 10 years and by the time I reached my early 30s I just knew I could not keep working this way. My work had become boring and tedious and I really did grow very cynical of the corporate work place. Now thankfully I had Biddy Tarot running a long in the background and as a hobby project and I began to feel really strong calling to do this Biddy Tarot work full time and through my connection with the Tarot cards themselves I realized I just had to follow that calling. It was really, really too loud to ignore so in 2012 I finally left and pursued Biddy Tarot full-time and now four years later I have never looked back. We’ve got such a wonderful lifestyle as a family thanks to the Biddy Tarot business and I am doing something I love and that really serves the world in a big and beautiful way. But making that leap can be really, really scary but we’re really in a cool position as Tarot readers because we’ve got the Tarot cards to help us and guide us towards finding our dream job and career. And it really is possible to get the job that you want with a little help from our friends the Tarot cards. So, in this podcast I’m going to give you 7 practical ways to use the Tarot cards to find your dream job. 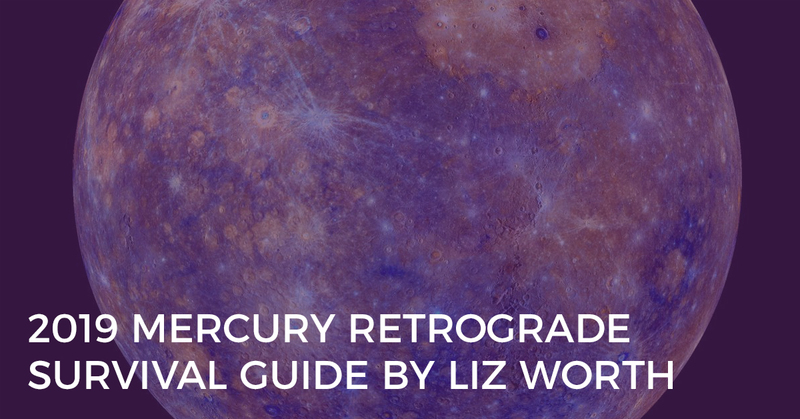 And if you’re out and about while you’re listening to this podcast episode, I have created a free PDF download for you you can head on over to www.biddytarot.com/44 to access the PDF. 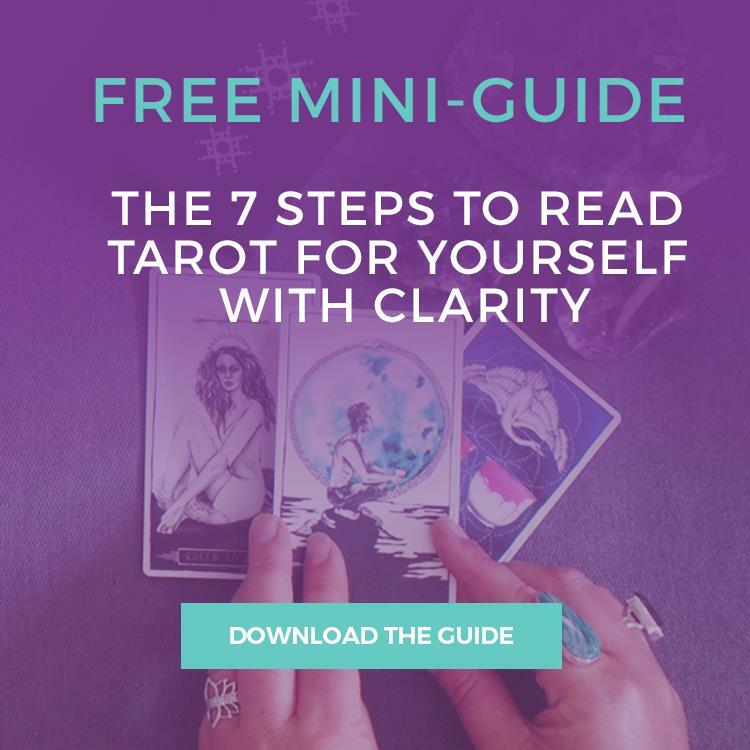 Now I’ve brought all of these Seven Different Ways that You Can Use the Tarot Cards to Find Your Dream Job and I put them that all in the one place in this PDF. Just go to www.biddytarot.com/44 and you can access the PDF, you can also see the transcript for today’s call and the show notes and of course you can always check out Biddy Tarot while you’re there. So, let’s get in to today’s episode. 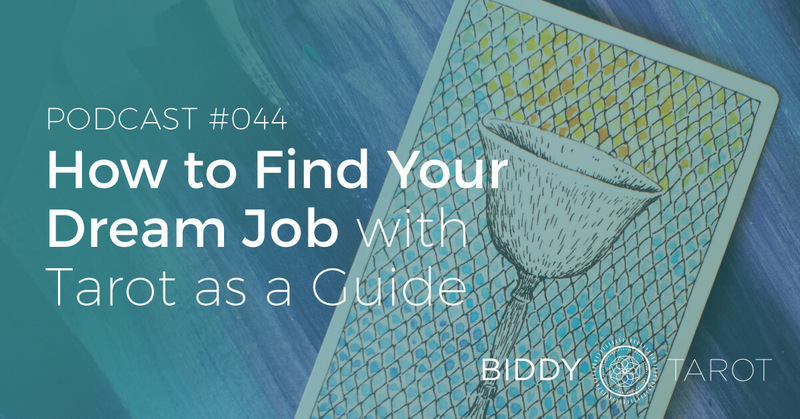 Our first way of using Tarot to find your dream job is to discover your true passions. So, what is it that you really love doing? What makes you want to keep working on a project even when everyone else has gone home or gone to bed or is out with friends doing all this other stuff. And you’re like: “Nope, I’m staying at home, I want to work on this project.” What is it? And what do you love talking about to your friends? If you want to discover where your true passions lie, certainly connecting first intuitively into your hearts space and thinking, ok what is my true passion. But if you need a little bit of extra help, then of course you’ve got the Tarot cards. Just draw three Tarot cards and meditate on each individual card and the three cards combined to explore what makes you truly, truly passionate. You might even draw another card to understand how you can leverage these passions to earn an income. So, let me see if a can do a quick example while I have my Tarot cards here. Let’s see, so if I was asking what am I truly passionate about? Let’s see what’s the one thing that’s going to come up, I’m going to just draw one card for this. Let’s see, Six of Wands reversed, well, hmm, yeah, ok, now I get it. Six of Wands reversed, might be that sort of internal sense of confidence and doing something that truly matters but knowing that within yourself. You might look at that card and go: “Ok, maybe I’m really passionate about building up confidence, self confidence in not just my self but in other people as well,” and maybe self confidence might be part of what your dream job and career is all about. If you want, draw another couple of cards and see how they all come together and just do a bit of free writing as well. Give yourself the space for your intuition to kick into gear whilst you’ve got these Tarot cards in front of you. Remember that the cards are not the thing that give you the answer, the answer is already inside of you. The cards are helping you connect with that answer. I want that to be really, really clear. Ok, let’s move on to the next step for finding your dream job and that is to identify your strengths and development areas. So, being aware of your strengths and development areas is key to being able to find the perfect job. You’ve got to be able to play to your strengths and address any of those sort of weaknesses or things that you could probably do better. So, to help you do this, bring out your Tarot cards and you might draw one card for your strengths and one card for your development areas, things that you’ve got to focus on. Let’s see, I’ve just drawn, as an example the Nine of Cups as the strength and maybe that might be in writing or being able to create a story or paint a picture in somebody’s mind using emotions or being able to connect people to an emotional story perhaps. And then the High Priestess reversed as a development area, well that’s interesting, so maybe that’s about trusting your own intuition and really connecting with your intuition on a much deeper personal level. That might just give you some clues and again, here’s the thing, I want you to be looking at the cards but also asking yourself and thinking: “Ok, if I’m to think of what are my key strengths?” and come up with that in addition to what your seeing in the Tarot cards. I also suggest that you take note of any Tarot cards that might be reversed, particularly in the development areas. So, on the one hand reversed cards can indicate sort of more internal processes, things that are happening on a more private level but they can indicate things that are in your unconscious awareness. So, things that you may not be aware of yet. For example, if I’m looking at the High Priestess and I’m looking at it as an unconscious awareness, it might be that I’m not actually aware that I need to trust my intuition even more but this card right now is highlighting that. That’s interesting and it’s funny because when I saw that card, I had a bit of resistance, I’m like: “What are you talking about I need to trust my intuition more?” This is like my life, my career, intuition but that in itself could be an example of an unconscious awareness, maybe I still have more opportunity to connect to my intuition. Love it! As soon as you’ve seen those reversed cards, the great thing is that it’s bringing into your conscious awareness and that means that you can actually take action around it when it’s in your conscious awareness, things that we are not aware of, we can’t really take action on but they may continue to influence us so it’s better if we can become consciously aware of these kinds of things. All right, that was looking at your strength and development areas. Now the third step is to develop an action plan for finding a job. I wish that we could just lay out the cards that say: “Oh, look Ace of Pentacles, here’s comes your job.” And you’re like: “Yep, don’t need to do anything.” But I think that is absolute rubbish and I think if we want to create the future in the way that we want it to then we have to take action and we have to be very mindful about what that action is. So, you can use your Tarot cards to assist you in finding a job and mapping out your action plan. You might draw three Tarot cards to understand what it is that you need to do to find the right job for you and you want to be on the lookout for Tarot cards that might indicate how to go about finding a job, such as maybe using a recruitment agency or online search or personal networks and so on. So, for example the Three of Cups or the Queen of Wands emphasizes the importance of social networking or the Hierophant or Three of Pentacles points to being a part of a professional association. And maybe the Three of Wands suggest an online job search with a possibility of working over seas and the Emperor might even indicate a recruitment agency. So, here’s the thing, I’ve just laid out three cards as another example and I’ve got the Seven of Swords, Five of Swords and Three of Swords. Lots of Swords so that tells us that the action plan needs to involve some kind of mental process. And it might be about being a little bit more discerning about which opportunities to take, certainly in the Seven of Swords it’s about leaving things behind that may not be serving you and being a little bit more about being strategic about what you take with you. Similar to the Five of Swords where it’s like you can’t take everything, you can’t be a winner all of the time. These cards may point to an action plan that’s about having more criteria about which jobs you want to take and which ones are more in alignment with your dream job. Let’s move on to number four, and that is identify where you find your best opportunity. Using the Tarot cards, you can find out what kind of company, industry, boss or vocation will suit you best. Now, of course there isn’t a card in the Tarot deck that says Canada, or there isn’t on that says Apple, but I do find that the cards can be quite interesting in giving you little clues as to what a good company or industry might do for you or might be in alignment with your dream job. So, let’s just do a bit of a random one and see what comes up and hopefully we’ll get some clues here. Industry, hmm, ok, so I’ve got the Five of Pentacles, and we know that this is with the two beggars at the front, one’s sort of injured and then there’s the church in the background. The big theme for this card is about giving and receiving but helping the poor and helping people in need. So if you where thinking about: “Where’s my best opportunity?” well it could be in the not for profit, it could be working for a church, it could be working for some organization that helps people who have very little. It could even be in a homeless shelter, something along those lines. So even by looking at the imagery in the card, that can give you some clues about where your best opportunities lie. Now again, always check in with the intuition and say: “Ok, well which one feels in alignment with what I truly want in my career?” You might be thinking: “Well a homeless shelter, umm, no not really for me, but I would be happy working in an organization that does support people who’ve been injured in someway.” Maybe that has a trigger for you and you can follow and pursue that. Ok, so number five is ace your interviews. If you’ve started to find some dream jobs, maybe start to apply for those dream jobs or you’re connecting in with your social networks then the natural next step is that you are going to go through some kind of selection or interview process. Now you can use your Tarot cards to help you understand how you can prepare and what you need to emphasize or avoid or even what qualities or skills that the employer is looking for and how to present yourself. And you might even want to draw a card to find out how the interview might go and what you need to look out for. Let’s say, we might draw a card, ok what do I need to do to prepare for the interview? I’ve got the Temperance card, ok number one you’ve got to stay calm and maybe it’s about looking out for balance in different things and you might just get really clear about how can you show a very balanced point of view when your presenting to a potential employer. How can you show what your personal mission is and how that aligns to this particular company, for example. Maybe there’s something else, maybe presenting yourself in a way that is quite balanced and moderate and in connection with sort of the bigger picture, is what I’m seeing. And certainly if you where going to go off and your going to work in a church or in an organization, I’m thinking back to our Five of Pentacles, then you might want to just really show off your, well not show off, be clear that you have this connection to the Divine and that’s important to you as well. These are examples. Maybe you’re drawing a card for: “Ok, what do I need to emphasize in the interview?” and we’ve got the Ace of Pentacles. Maybe that’s like your a real go getter, you get things started, what do you need to avoid or not emphasize? Ok, Seven of Swords again, well that might be about, I just had a cheeky thought, that last time you stole from the company, don’t mention that in your interview. That’s terrible isn’t it? But you might be aspects that you don’t want to talk about, maybe sort of like the darker side of your previous job. I’m thinking might be getting side tracked here but I’m thinking of when I use to work in Human Resources and I did a few job interviews with candidates and sometimes they would mention just all sorts of negative stuff from their previous employer and your thinking: “Why are you telling me this? Don’t tell me about like how it didn’t work out, and how your previous boss was a Narcissist and don’t talk about that.” You want to bring positive energy into a job interview. So, the Seven of Swords might be an indication to avoid some of that. Be fluid and flexible with the questions that you’re asking the Tarot cards and think what is it that I really need to know in order to ace my interview and just draw a couple of cards to help you with that. Ok, let’s move on, were up to step number six, and that is decide between perspective employers. You might have a few opportunities in the pipeline and the Tarot cards are perfect for understanding the pro’s and con’s of each opportunity in helping you to make a decision. So, let’s say you were going work for employer A or employer B. You might go: “Ok, all right Tarot cards, what like the pro’s of working for employer A, what’s some of the con’s? What am I not gonna really enjoy? And overall what might I experience if I go and work for this employer?” And then you can do the same for employer B, and based on those cards you might use that to help you understand is this the right opportunity, which is the right one for me? Now the cards are not going to say to you: “Right, do this, go with employer A.” It will give you a picture, an idea of this is what you might experience if you are engaged with this employer but you ultimately need to take accountability for making that decision and making a decision that is in alignment with what you really want out of your career and your job. The cards will not make that decision for you, that is up to you. All right, then also in addition to that you might draw another card to figure out: “Ok, what is it that I need to know to make a good decision here? What’s kind of like the deciding factor?” For example, Eight of Pentacles, now the deciding factor for you might be; which opportunity is going to give me training and the ability to improve my skills? Maybe employer A is paying less but I’m going to get a huge amount of on-the-job training that I can use later on. So that might be something that helps you make the decision. All right, and our final step here is to create a weekly forecast. So, if you like to use your Tarot cards for future guidance or even for a little bit of prediction, you can draw one card for each week ahead and you might even be able to see when the perfect job opportunity is about to come up as well as what to expect during the next. So, even if you don’t get the Ace of Pentacles straight away, you can identify what you need to watch out for or what you need to focus on for each week and you can really use this as a tool for empowerment as well as for prediction. Let’s see, if you were like, your on the job hunt, you’re thinking: “What’s going to come up over the next few weeks, how’s it going to influence me with my job hunting?” Let’s see, we’ve got the Eight of Swords this week, well maybe you’re a bit limited you’re not really finding anything online. The Death card reversed for next week maybe you’re actually realizing you’ve got to make some personal changes first before you can really find that new job. The Five of Cups reversed, well, might be one that sort of slipped away that wasn’t quite in alignment with what you really wanted. Five of Pentacles reversed, yeah, not so great either. Don’t let it bog you down, I know these four cards, not particularly positive in terms of finding that job, but just let it be a way of you saying: “Ok, I might have this potential challenge this week, what can I do to prepare for that and how can I potentially avoid it from happening?” Say with the Five of Cups reversed, well maybe just prime yourself to say: “Look, if I don’t get this job that’s just meant to be, the universe is not going to give me a job that’s out alignment and maybe this that I was applying for just wasn’t in alignment with what I wanted. So I’m just going to be at peace with that.” And then, you know, you’re much better prepared for that week, so use it as that tool for empowerment but also a little bit of like what might be coming up ahead. So there you have it, those are the Seven Ways to Find Your Dream Job with Tarot as a Guide. And I’ll pop through them again and remember you can go to www.biddytarot.com/44 to access the free PDF with all of these seven steps in it. One, discover your true passions. Two, identify your strengths and development areas. Three, develop an action plan for finding a job. Four, identify where you’ll find your best opportunity. Six, decide between perspective employers. Seven, create a weekly forecast. And if you want to know even more ways to use the Tarot cards in fantastically, practical ways then you’re going to really love the Biddy Tarot Community. 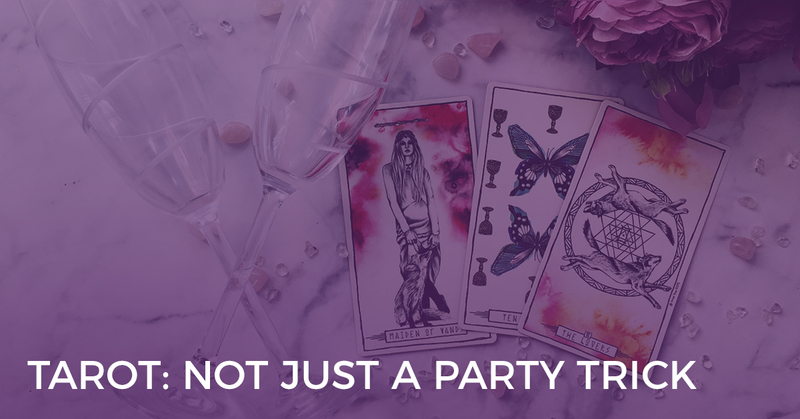 Inside the community, you can access over 500 aspiring Tarot readers who are already members of the community and who are engaging in awesome conversations about Tarot in our forums. You can also connect with one another and create study buddies, I have the Tarot 101 course to help you get started with Tarot. We have monthly training webinars so that you can get right across all the different Tarot topics and you can even practice your Tarot reading skills inside of our Free Tarot readings platform. There is so much goodness in there and it’s all designed to help you become a more confident Tarot reader and to really integrate Tarot into your everyday life and really connect with your intuition so that you can live a more empowered and inspired life. To check it out head on over to www.biddtytarot.com/community and you can find all of the details inside of there. All right, thank you so very much for listening, I really, really do appreciate it and next week we’ve got a very special guest, Ethony, who will be talking with us about How to Become a Tarot Authority and you know how to really build up your reputation within the Tarot community and your potential clients and that’s going to be an awesome, awesome interview together. Have a really good week and I can’t wait to connect with you again soon, thank you and good-bye.